Last week was the opening of Crafted in LA, an exhibition featuring Studio Number One's art that was created for various social causes, including #MakeAmericaSmartAgain! Also, special thanks to our friends at League of Women Voters for coming out to the opening to educate the crowd. If you're in Los Angeles, check out the gallery at Angel City Brewery before it comes down on April 1. In addition to the #MakeAmericaSmartAgain works, you’ll also be able to see other art by Studio Number One that was created for various marches, social and environmental causes, community projects, and much more! First implemented in 1988, the Resin Identification Code (RIC), was created by the Plastic Industry Associationto help implement a code to help identify what kind of plastics are being used in products. The RIC system can be identified as a labeled digit between 1 and 7 enclosed in a triangle symbol. Each number signifies a different kind of plastic, some of which are rated to be less toxic and easier to recycle. It is very common and easy to accidentally misplace an item that is meant to be trash in to a recycling bin and vice versa. However, with large countries such as China beginning to enforce a stricter recycling program, such as allowing only 0.5 percent of impurity levels in their recycling batches, it may end up leading to more waste in our world. By understanding the numerous kinds of plastics and their recycle properties, it has the benefit of potentially saving these recycle batches that are at risk of being sent to landfills. To learn more about the safe and harmful plastics check out our RIC code breakdown below. Plastic #1- Polyethylene Terephthalate, or also known as PETE or PET. Is one of the safer plastics when used in a cool or room temperature area. Warm weather can cause carcinogens, or cancerous radiation to melt into your liquids. Large amounts of disposable containers and bottles are made of #1. These plastics are also safe to recycle in your neighborhood recycling program. Plastic #2- High Density Polyethylene (HDPE), is one of the safest choices in plastic. It has a low hazard plastic and is often used in the production of milk, juice, water, and shampoo bottles. It is also used to make plastic bags. Plastic #3- Polyvinyl Chloride (PVC), is used to make food wrap, inflatable mattresses, and shower curtains. These plastics are not safe to be heated or cooked in and are not accepted by recycling programs. Plastic #4- Low-Density Polyethylene (LDPE), although it is not able to be recycled, this plastic is one of the safer options because it does not contain BPA. LDPE plastics are usually used to make garbage bags, produce bags, and newspaper delivery bags. Plastic #5- Polypropylene (PP), is used to make containers for take out meals, kitchenware, and “microwave-safe” plastics. This plastic is well known for its heat resistant property. PP is considered one of the safer recyclable plastics, but can be hazardous if too much heat is applied to it. Plastic #6- Polystyrene or Styrofoam, is one of the most common forms of disposable containers and is one of the hardest plastics to decompose. It is not recyclable and releases toxic chemicals when heated. Plastic #7- Other or “Everything Else,” this category does not identify one particular plastic resin. It is a general catch-all for all plastics other than those identified by numbers 1-6, and can include plastics that may be layered or a mixture of various plastics. It includes the new bioplastics. Plastic #7 is typically used for baby bottles, water bottles, DVDs, compact disks, and electronics. Due to its fusion of different plastics, this category is more prone to having potential BPAs and other toxins. Originated as an environmental challenge back in 2011, Plastic Free July has gone on to become an international environmental movement that has spread across the globe from its start in Australia. The initiative began as a mission to minimize the use of single use plastics for an entire calendar month. Since the mission’s launch it has led to over 2 million people from 159 countries taking the pledge to be part of the annual Plastic Free July Challenge. It is reported that on average there are nearly 300 millions tons of plastic produced each year and only 10-13% of the items being recycled properly. Through insufficient recycling methods and the production of plastics that are not biodegradable this has led to these plastic objects entering our landfills and oceans and injuring our environment. Completely avoiding plastic objects might be easier said than done, but by taking small steps such as skipping single use straws, saying no to a plastic bag, and avoiding plastic packaging can lead to a smaller footprint and impact on our planet. Take a stand with MASA and check out our tips to become part of Plastic Free July! 1. Say no to plastic straws. Skip those plastic straws when dining out or opt for a reusable stainless steel straw. 2. Bring your own reusable bags when out shopping. By bringing your own bags it helps eliminate single use plastic bags that are often used for produce and shopping bags. 3. Grab yourself a reusable bottle. Carry your own water bottle and refill it at water fountains and filling stations. 4. Bring your own thermos or mug to your favorite coffee shop. Disposable coffee cups may look like paper, however they are often lined with polyethylene, a thin plastic used to prevent liquids from spilling out. 5. Skip the body wash packaged in plastic bottles and instead go for bar soap. Bar soaps come in a variety of sizes, scents, and often last longer than a bottle of shower gel. 6. Rethink how you store food. Invest in storage containers, bento boxes, or glass jars for food storage. Pack your leftovers and lunch in these environmentally friendly alternatives to sandwich bags, plastic baggies, and plastic wrap. In early May, it was announced that the U.S. would take a stricter stance on illegal crossings at the Mexican border. Since its implication it has led to over 2,000 families being separated at the border according to the Department of Homeland Security. President Trump’s “zero tolerance” methodology has escalated to infants being taken away from their mothers, siblings being torn apart, and families fearing what will happen to them next. 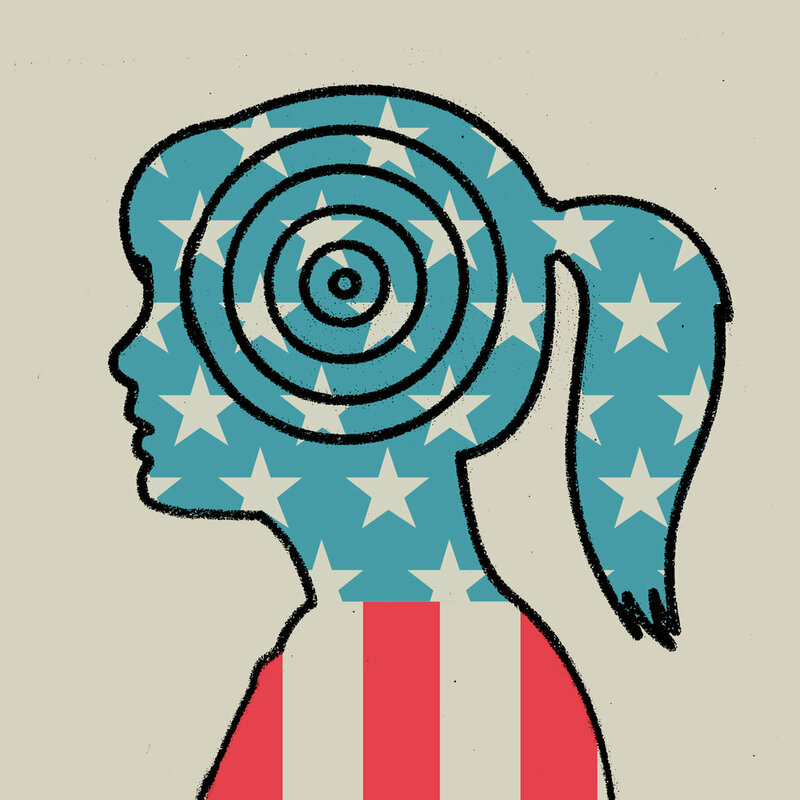 Many of these children are sent to detention centers and are held until further notice. The images of these emotional moments are now being published across social media and news sources and are showing the emotional and heartbreaking moments these families have had to endure. No one should have to go through the devastating pain of being separated from their family because of this unfair and inhumane policy. To find out how you can help keep these families together read our guide down below. The Cut's What You Can Do Right Now to Help Immigrant Families Separated at the Boarder. Refugee and Immigrant Center for Education and Legal Services (RAICES) is the largest immigrant nonprofit in Texas that helps provide free or inexpensive legal services for the undocumented. Detained Migrant Solidarity Committee, an organization that opposes migrant detention centers. ACLU, with nearly 2 million members the ACLU has fought for nearly 100 years to help preserve the civil liberties for all in our country. 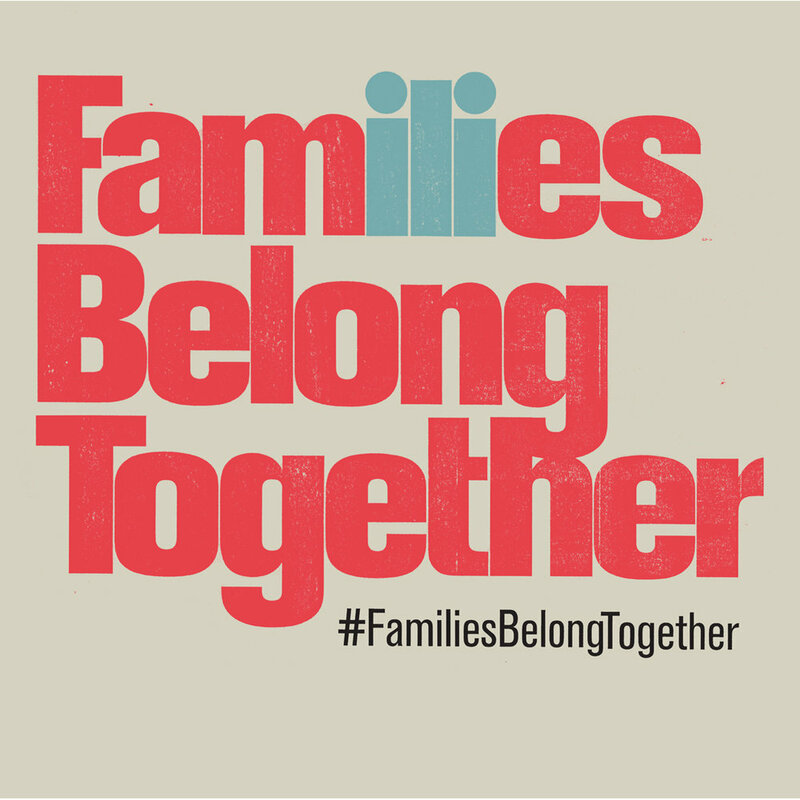 On Saturday, June 30th millions across the country are pledging to march for the #FamiliesBelongTogether Action. Arranged at 11 a.m. in your respective time zone, the march is organized by ACLU, MoveON, and The Women's March to advocate to keep these families together. To pledge to join and find an event near you, click here. Reach out to your local representative and voice your opinion on the matter. To find out how to contact your local representative click here. MASA was created to empower individuals to use their voices to make a difference. With primary and midterm elections emerging, we hope this important message will reach the new body of first-time voters. Making your voice heard at the polls is not only empowering, but also exciting! If it is your first time voting, check out our guide down below for all first-time voters. 1. Make sure to register to vote before the deadline for your respective state. 2. After finding your polling station, make sure you know what to bring. Most times the details are sent in the mail on a voter card. If your card has been misplaced, you can find your voting location here. Most states may require you to bring a photo ID, find out here to see what you need. 3. Once you arrive to the polls there will be a check-in station to get started. If you are notified that you are not registered to vote you may ask for a provisional ballot. To find out more information on being a first-time voter check out this article by Teen Vogue, and read their ongoing series "Running! A Guide to Getting Involved in Government." Primary elections across the country are coming up and our home state of California’s primary elections are happening on Tuesday June 5th. With hectic schedules that include work, school, or vacation, some find it hard to make the time to head over to their designated voting location to cast their vote. By registering for an absentee ballot, it makes things easier for those that are unable to find time out of the day to make it down to the polls. MASA created a guide on the steps for signing up for an absentee ballot. 1. Make sure you are a registered voter. Registering to vote takes only a few minutes and can be down by clicking on this link. If you are unsure about your voter registration status it can be checked on the same website here. What if you missed the May 21st deadline to register to vote? If you missed the deadline there is still a chance to register as a Conditional Voter. This allows the conditional voter a 14 day period prior to election day to head down to the office of their county officials election building and request to vote as a conditional voter. This allows the voter to vote on Election Day on a provisional ballot. Locations of your local county official building can be found here. 3. Fill out the application. 4. Mail the application to your election office. Address can be found at the end of the application. California voters must have the application received by May 29th. 5. Drop off your completed and casted ballot, including vote by mail ballots, in person to your voting location on June 5th before closing time at 8pm. Sent by mail ballots must be postmarked on or before June 5th. And if you don’t live in California, find dates and resources on elections in your area here. MASA wishes all of the voters good luck and congratulations on taking the time to cast their vote! Make your voice count! On June 5th, California will be holding its primary election and with over 20 million registered voters in the state of California, it is reported that only 6 million will turn out to cast their vote. It is more crucial than ever to have votes casted for the upcoming election because for this year’s ballot, votes will be casted for a new governor, 20 of the 40 seats in the CA Senate, and all of the 53 seats in the House of Representatives. These votes are the building blocks moving in to our midterm election in November and will help determine who will continue to represent our state on major issues such as climate change, immigration, and gun control in our nation’s capitol for the next few years. For more information on how to cast your ballot by mail or in person click here. The LA Times, There is a California Election Coming Up. Each year on April 22nd people around the world take time to reflect and celebrate the earth. Although it is only labeled once a year in our calendar, we believe that every day should be Earth Day. Now more than ever our planet is becoming a victim to the impact of climate change. Results have shown that sea levels have risen about eight inches, the average temperature has increased nearly two degrees (1.1 Celsius), and our ocean acidity has gone up by 30 percent. With the temperature continuing to get warmer, pollution and further disruptions will continue to affect the living. Learn more about the impacts of climate change and take a stand against climate with some of these leading forces! Friends of the Earth, is a global network that is present in 74 countries and has over 1 million members. Their mission is to take a stand and to defend the environment by standing up against some of the economic drivers. Greenpeace, was created in 1971 and has over 2.8 million members worldwide in over 50 countries. 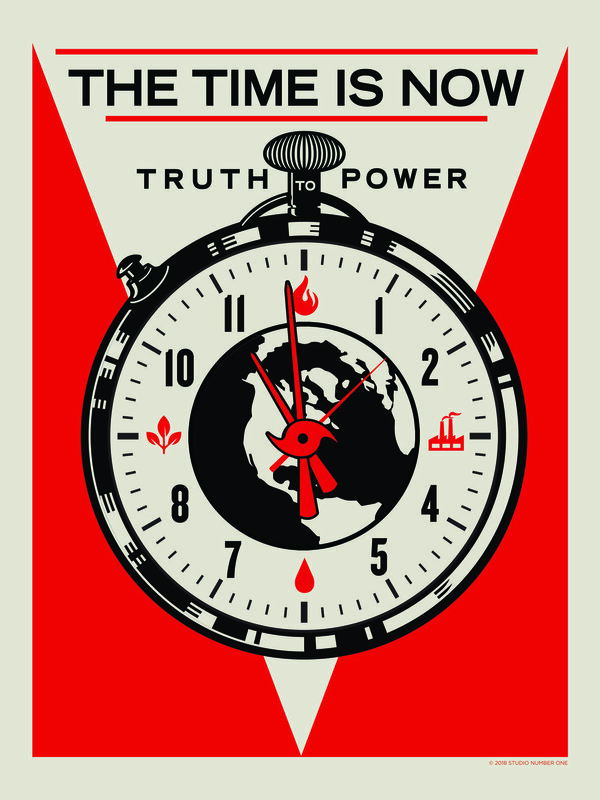 Their strategy is to use peaceful protest and creative communication to help expose and promote environmental problems. Natural Resource Defense, was founded in 1970 by a group of law students and attorneys. The current board continues to ensure that the NRC organization maintains its promise to ensure the rights to clean air and water. Next Gen America, acts politically to help prevent climate disaster. Since their founding in 2013 the organization has supported environmentally friendly candidates and has registered more than 1 million voters worldwide. To support the cause, Studio Number One created these exclusive posters for you to download and print at home. Click here to grab your set. 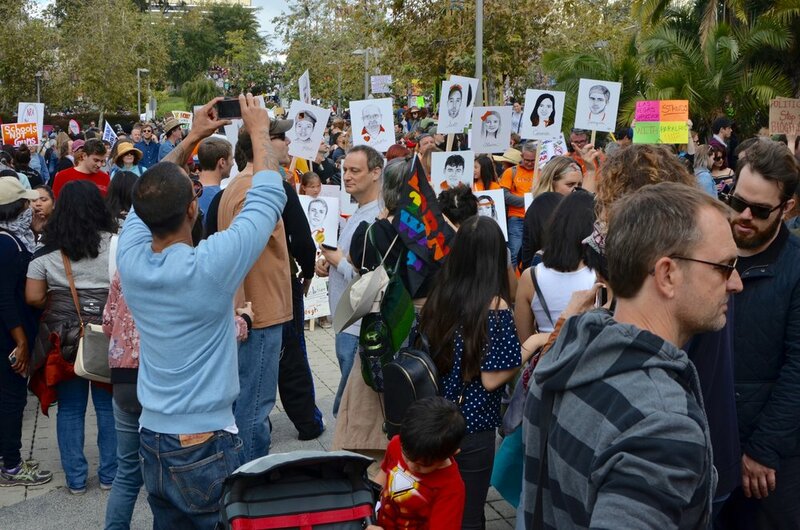 This past weekend hundreds of thousands of people took to the streets to stand up against gun violence. With over 800 demonstrations held across the country, it was also reported that nearly 200,000 people gathered in Washington D.C. to march. Throughout the day, speakers shared personal stories about how gun violence has affected them and delivered inspiring messages of peace and hope for the future. We would like to thank and congratulate everyone that spent their day standing up for what they believe in. An even larger thanks to Amplifier for printing and distributing posters with art by Studio Number One and those that walked carrying their message. You can check out our gallery below of some of our favorites from the marches all across the country, including a video of one of SNO's posters displayed in Times Square! Since the tragic shooting in Parkland, FL the angry student survivors have successfully pushed politicians to support gun control legislation and forced major businesses and advertisers to cut ties with the NRA. 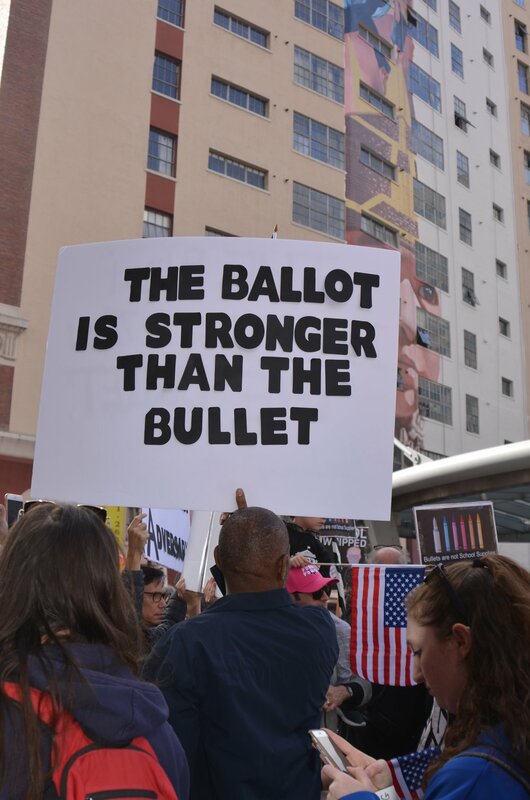 Additionally, they have organized events to encourage communities across the country to go out and make their voices heard about gun violence. Let’s stand with the students of Parkman by partaking in the National School Walkout on March 14th and March For Our Lives on March 24th! Survivors from last week’s shooting in Parkland, Florida are using their voices and taking matters in their own hands. Through social and traditional media numerous students have spoken about reform on current gun policies. Over the holiday weekend more news emerged on social media about upcoming school walkouts and marches. Organized by the Women’s March Youth EMPOWER, students, parents, teachers, and administrators are invited on March 14th at 10 a.m. (in all time zones) to walk out of school for 17 minutes in observance of the 17 lives lost in Parkland and to protest and demand Congress pass legislation to keep our schools and community safe from gun violence. 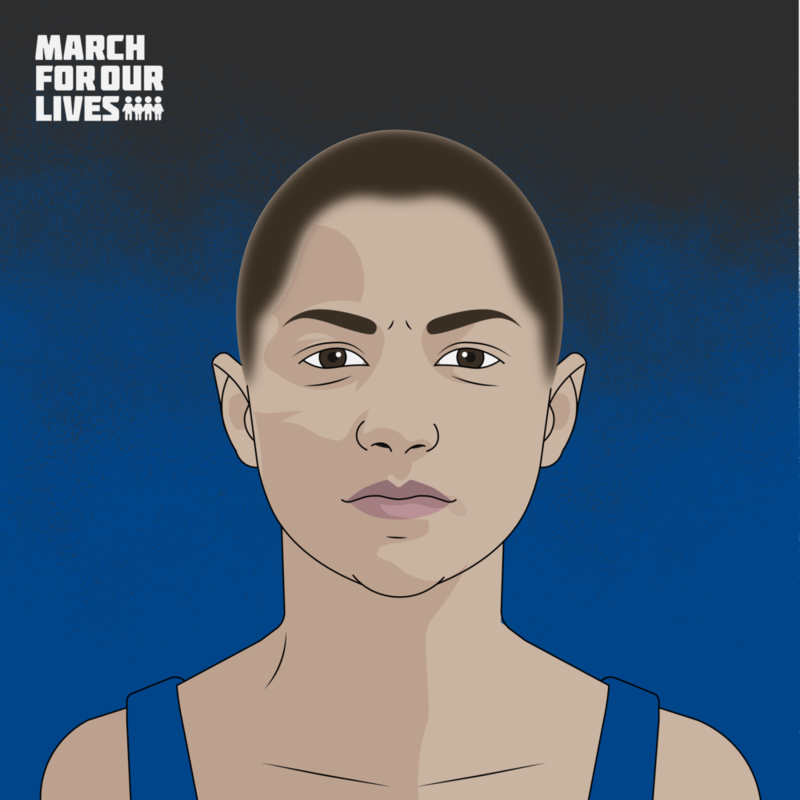 March For Our Lives is created by, inspired by, and led by student organizers from Parkland and across the country. They are calling all to march in Washington D.C. on March 24th to demand that their lives and safety become a priority, seize an end to school shootings, and ask Congress to address gun violence issues immediately. On April 20th, the 19th anniversary of the Columbine school shooting, all high school students are urged to participate in a a school walk out promptly at 10 a.m. to protest current gun policies, wear orange, and voice their opinions on all social media platforms. What Can We Do About Gun Violence? On a day typically reserved to celebrate love, Marjory Stoneman Douglas High School in Parkman, Florida suffered the opposite. A 19-year-old gunman entered the school with a loaded AR-15 rifle, pulled the fire alarm, and began shooting into five classrooms. The tragedy resulted in the death of 17 students and adults. After the shooting at Sandy Hook Elementary School in 2012, more than 400 people have been shot in over 200 school shootings. Many are asking what we can do to enact stricter gun control or preventative measures. Everytown is an organization with more than 4 million members focused on ending gun violence with action. The website offers information about the movement, details on events in various communities, and helpful guides. 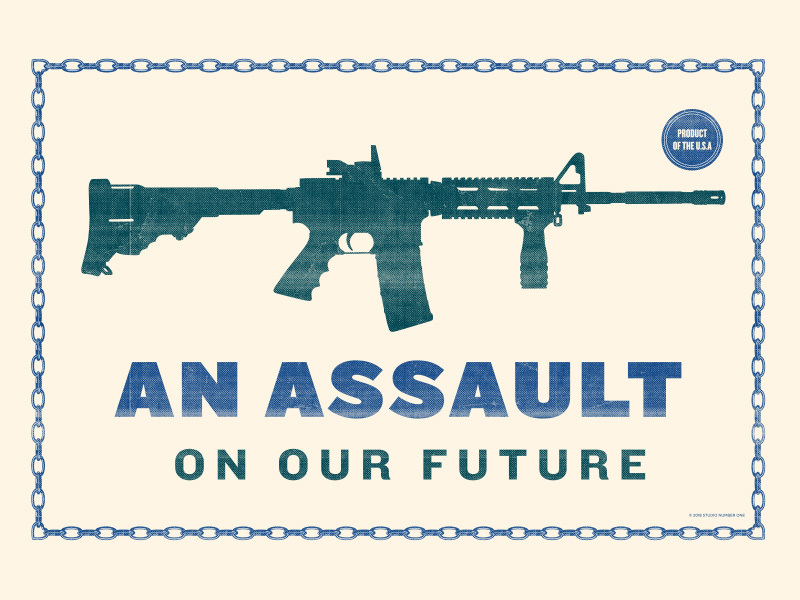 The Brady Campaign is one of the oldest organizations focused on gun control. Created in 1974 and renamed in 2001, their mission is to cut down gun deaths in half. Moms Demand Action for Gun Sense in America was founded in 2012 following the aftermath of the Sandy Hook shooting. Ran and monitored by a handful of mothers, it has quickly become one of the organizations on the forefront of gun violence prevention. Donating to the victims is now more accessible than ever with companies like GoFundMe and groups like the Broward Education Foundation who have created an account designated to helping out the victims and their families. Reach out to your elected officials by using the tool on USA.gov’s website. Information for all senators, representatives, and local officials can be found through this site. Contact them by either writing or directly calling the line for your desired member. If you're in Los Angeles, be sure to check out the newly updated #MakeAmericaSmartAgain window At Amoeba Music in Hollywood designed by Studio Number One. The installation is a reminder to everyone that the future is unwritten, and it's ours to write.As MASA continues its mission to empower individuals to use their brains and their voices, it is also important to encourage others to take action, reject apathy and embrace humanity. Amoeba Music is located on 6400 Sunset Blvd. in Los Angeles, CA. Special thanks to Monster Media Inc. for helping us make this happen! More than 2 million people in all 50 states and seven continents around the world marched in solidarity at the Women's March on January 21. Make America Smart Again joined the march in downtown Los Angeles where over 750,000 people showed up to make their voices heard. The streets were filled with families and friends, including men supporting their daughters, wives, girlfriends, mothers, sisters and female friends, who were all protesting peacefully for women's issues, the environment, immigrants' rights, and much more. Although the march was hugely successful, people must continue to remain engaged and active. The official Women's March website reads "Thank you to the millions of people around the world who, on Jan. 21, came together to raise our voices. But our march forward does not end here. Now is the time to get our friends, family, and community together and make history."